Power washers are great to have around the house. They provide a quick way to spray and clean down anything. They work is by using electricity, gas, or propane motor and they force the water through a tight diameter nozzle connected to a wand. The water then comes out the nozzle at high pressure levels, up to 800 times more powerful than your standard garden hose or 8000 psi. They are great at cleaning tough stains such as from, oil, grease, graffiti and paint. Now, let’s take a look at some of their key features and how they work. The pressure on all power washers is expressed in PSI – pounds per square inch. Power washers ranging on the lower spectrum have PSI starting from 750 to 1500 psi. 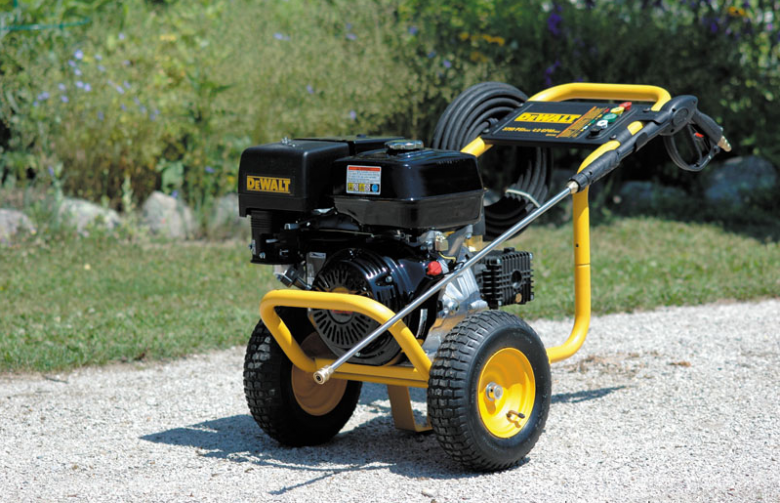 These models are best suited for small jobs such as cleaning decks and your patio furniture. They are also good for cleaning delicate surfaces as they won’t damage the surface. There are also hand operated models of these types of industrial cleaners but are nowhere near as powerful. 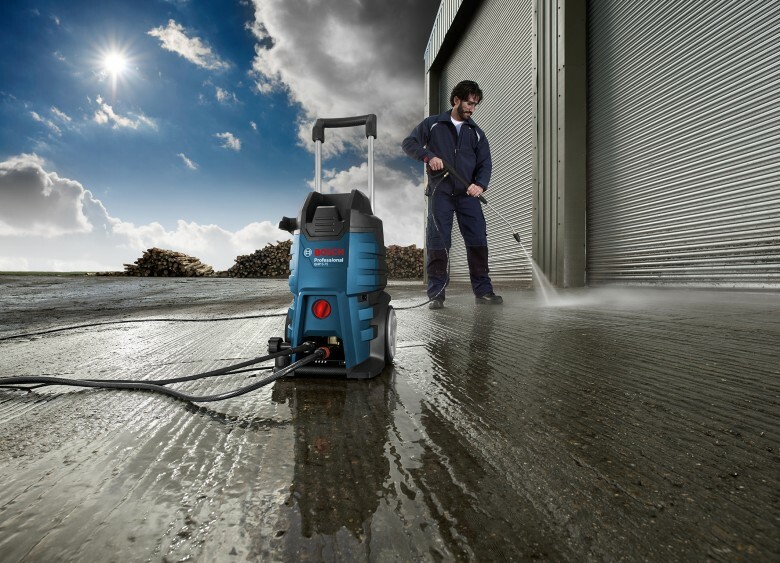 Mid range power cleaners range from 1500 PSI to 3000 whereas higher-pressure products go above 3000 psi are ideal for cleaning brick concrete, industrial equipment, stripping paint and also for eliminating grease. The water flow of power cleaners or how much water it can expel in a minute is described as GPM or gallons per minute. Smaller models range range from 0.25 to 2.5 GPM and provide enough water for spraying down your driveway and removing leaves. Larger models of these types of industrial cleaners can go up to 2.5 to 5+ GPM range and provide enough water to clean much more surfaces as their tanks can hold up to 60 litters of water and can shoot a stream up to 4m. The motor generates the pressure used to push the water and it can be electric, gas powered or propane. The most commonly used are electric ones because they can be used easily around the house and they don’t have an exhaust. Electrical motors raging from 120 volts to 230 volts are used on power washers the PSI of which ranges up to 1000, while models which go above 1500 PSI are powered by 230 to 600 volt motors. On the other hand, gas powered and propane models are usually hand-held as they don’t require a cable and are mostly used in places where there is no power source available.